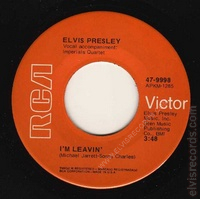 Disc: (7/1971) Orange label. On the Heart of Rome side, Gladys Music does have a comma after Music. 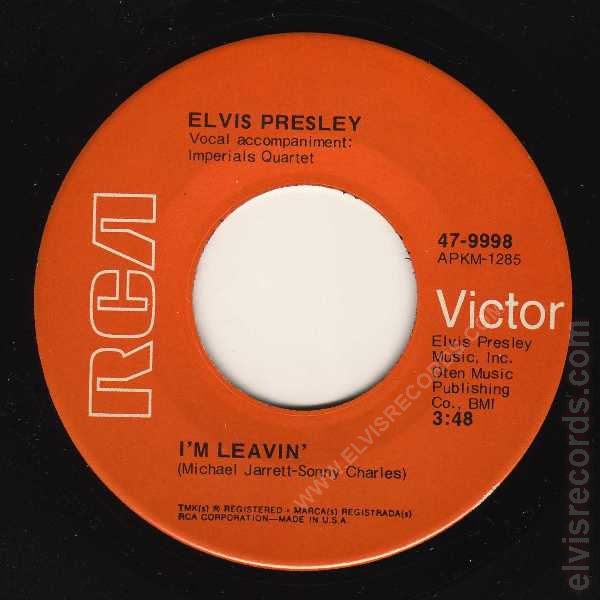 On the I'm Leavin' side Elvis Presley Music Inc. Oten Music Pub. Co. BMI. 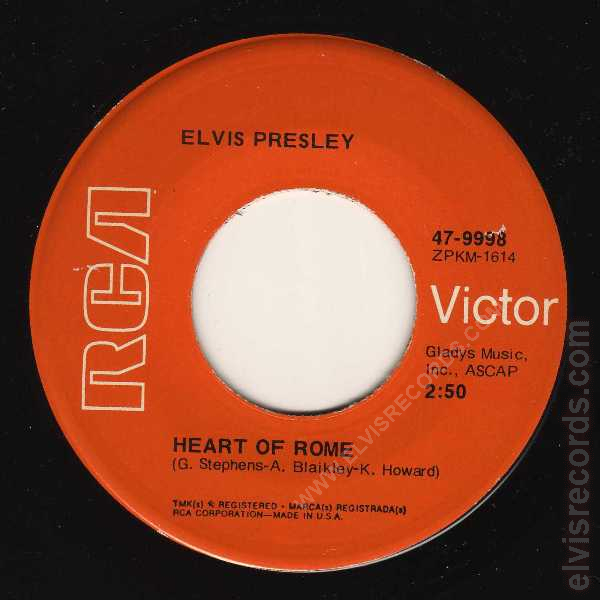 Where Publishing is not abbreviated and BMI is on its own line. 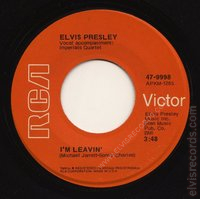 Disc: (7/1971) Orange label. On the Heart of Rome side, Gladys Music does not have a comma after Music. 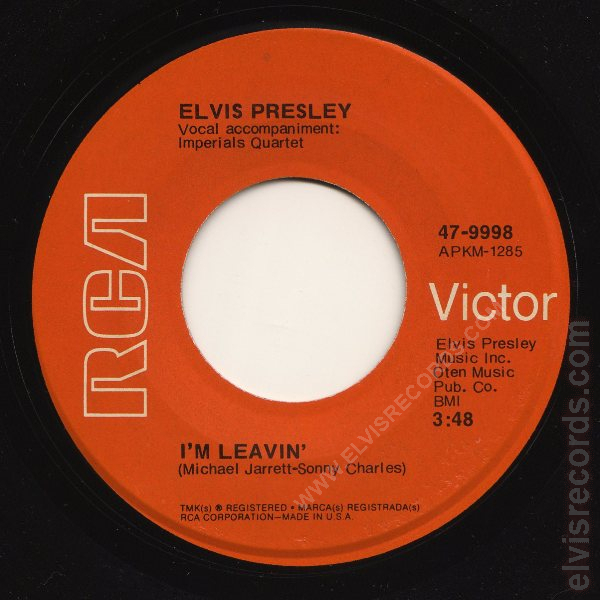 On the I'm Leavin' side Elvis Presley Music Inc. Oten Music Pub. Co. BMI. 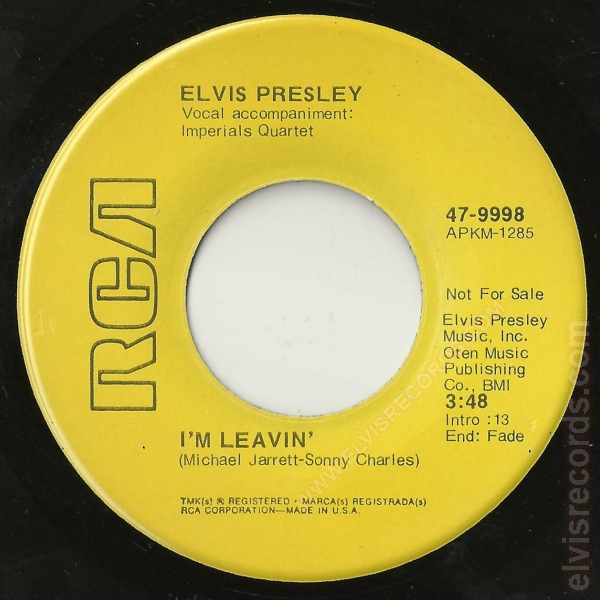 Where Publishing is abbreviated and BMI is on its own line. 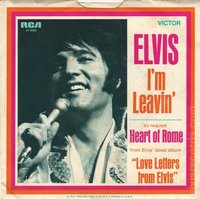 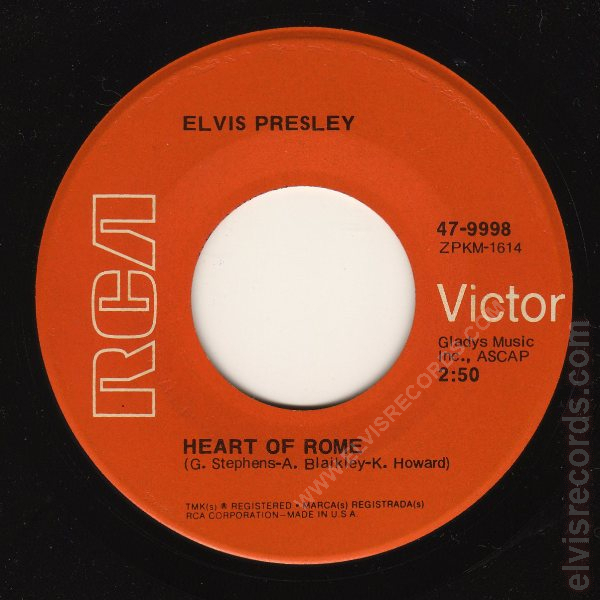 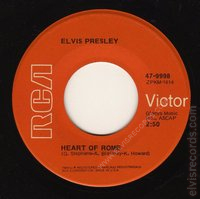 Re-released by RCA Records on 45 RPM as Heart of Rome / I'm Leavin' on the Gold Standard Series label.